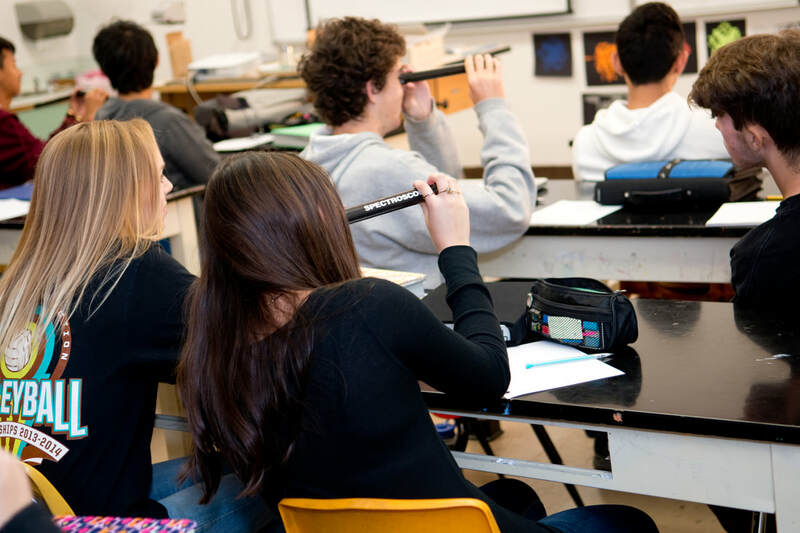 Contra Costa Christian High School seeks to develop balanced students who are prepared for success as they further their academic studies and start their careers. 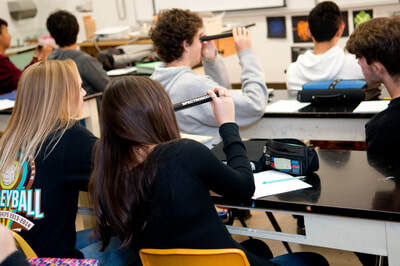 Contra Costa Christian High School seeks to develop well-rounded students who can apply their learning to the real world. 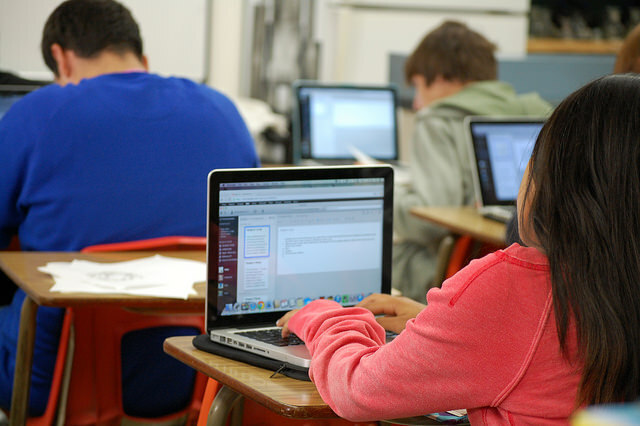 We provide a 21st century learning environment that leverages technology tools to enhance student learning. All high school students use laptops in class, with Apple laptops required for grades 9-12. This 1:1 learning environment gives students another tool for them to take ownership of their learning. Students actively engage new concepts and ideas in classrooms that promote collaboration, develop teamwork, and apply academic ideas to real world contexts. Students are continually challenged to critically examine problems and find innovative solutions. 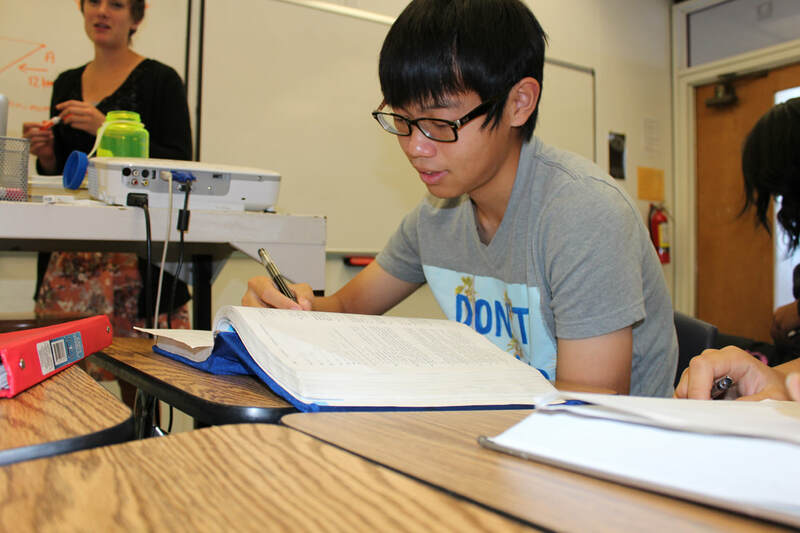 ​The strength of Contra Costa Christian High School extends beyond an academically rigorous program and the integration of technology. Our program provides an intimate environment where teachers and students know each other well. Teachers personalize learning to challenge their students and support their overall development. Students develop academically, emotionally, socially, and spiritually through the curriculum and extracurricular activities. The strong performing arts program allows students to hone their communication skills and develop their creativity. The result is mature young adults who are prepared for success in their university studies as well as success in life. The community in the Contra Costa Christian High School is truly unique where students can thrive to become men and women of God. Accreditation by the ﻿Western Association of Schools and Colleges﻿ validates the quality of the high school program. Highly respected colleges and universities across the nation have accepted our graduates. 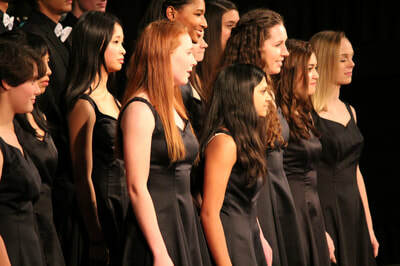 In addition to a competitive sports program, students are also offered the opportunity to participate in a wide variety of extracurricular activities such as chapel praise team, debate, drama, and student government. Additional opportunities are available based on student interest. Contra Costa Christian High School has a rich tradition of academic excellence that sends students to top universities across the nation. At Contra Costa Christian Schools, we believe that a Christian education should be the best possible education that a student can receive. In addition to the many resources available at any school, we have the opportunity and privilege to engage our academic students with the truth of God's Word. ​Our high school program is a college preparatory program that is intended to prepare students for the university of their choice and ability level. While we challenge them academically, we also push students to develop their character and become the person that God created them to be. We want them to go beyond knowing the world to understanding who they are and their place in God's bigger plan. We want to prepare them for success in life. History is a study of how human society has responded to God’s mandate to rule and subdue the earth. History involves human perspective and as such is subjective. The recording of events does not make history. History always involves a perspective on the events. As Christians we attempt to understand and evaluate historical events in the light of God’s Word. Students will build their skills in examining history from multiple perspectives. Ultimately, students will critically evaluate the past in order to make sense of the present. Mathematics is a human activity wherein people try to describe God’s orderly universe in terms of number and shape. “Mathematics originates with the things around us, not with theorems and deductive proofs. Mathematical results are almost always proved deductively only after they have been discovered, accepted, and used. Our primary aim in mathematics courses is not to teach the student how to think clearly and logically [although this is a key component in any study of mathematics]. Our first concern is to help the student understand God’s creation more fully, his task in it, and how mathematics can help him fulfill his calling” (Van Brummelen). Science is the activity of investigating physical phenomena to understand the structure God has given to His creation. The science program is designed to help students gain knowledge of how things work. In this regard, students learn methods of investigation that help reduce subjectivity and increase objectivity as conclusions are drawn. The science program aims to develop the student’s awareness that God’s creation is an integrated whole, to understand that science abstracts elements of creation to study them in a structured way in order to deepen understanding, to see science as a tool to serve God and one another, and to deepen understanding of the concepts, laws, theories and practices of science. Intersession is a unique opportunity for high school students to put their classroom learning into the real world. It occurs each year between the fall and spring semesters. The yearbook is an important memento of the students’ life at school and as such will be produced in a professional manner. Production will require learning skills in planning, layout, record keeping, sales, writing, editing, proofreading, and photography. History is a study of how human society has responded to God’s mandate to rule and subdue the earth. History involves human perspective and as such is subjective. Physical education is concerned with using physical activity for service to God and having a better understanding of the student’s body and how God created it. The course is intended to help students achieve an understanding of wellness and prevent disease by providing many opportunities to apply knowledge to real world experiences. Students have the opportunity to learn Spanish in our foreign language program. While most students participate in this option, we have worked with students already studying another language to participate in online course options. The Fine Arts program at CCCHS develops students in visual arts as well as the performing arts of music and drama. Bible courses at CCCHS are designed to give students an understanding of the Bible and its principles. More than an academic study, these courses apply God's Word to their lives and teach them how to live. 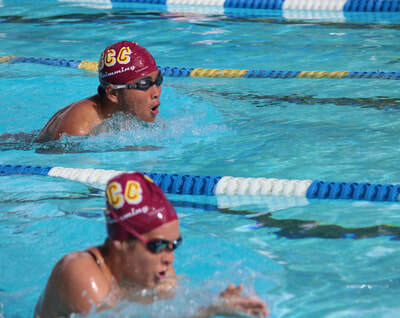 Contra Costa Christian Schools is committed to quality coaching from a Christian perspective that grounds athletes in strong fundamentals of their respective sports while emphasizing integrity and sportsmanship. Contra Costa Christian High School is a member of the North Coast Section (NCS) of the California Interscholastic Federation (CIF) and competes in the Bay Counties League of the Bay Area Conference. 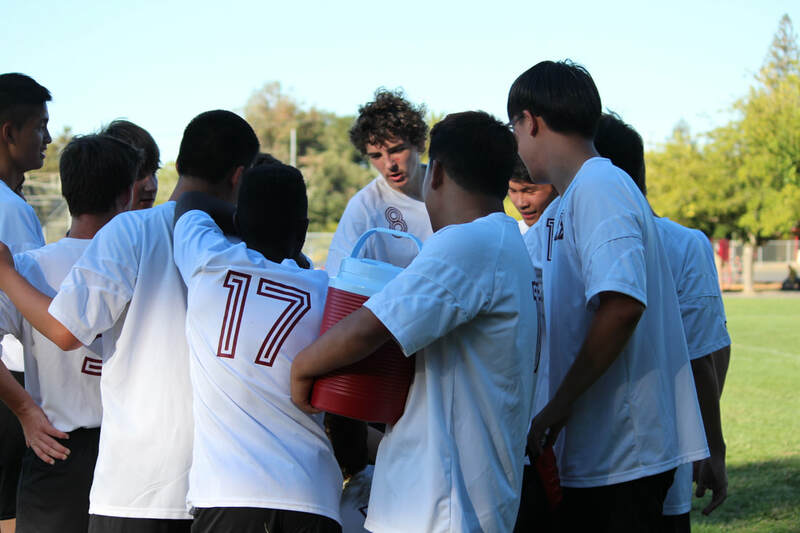 The primary aim of the athletic program at Contra Costa Christian High School is the spiritual and social development of the student athlete. Through participation in athletics we hope to develop in our student-athletes positive qualities of responsibility, cooperation, respect, commitment, leadership and discipline. With a great sense of school pride and a strong commitment by the athletic staff, it makes it a great time to be a part of Contra Costa Christian Athletics. Boys Soccer is scheduled as a fall sport. Girls Soccer is scheduled as a spring sport. Coach Wendy Padmos loves the sport of volleyball and hopes to pass that love on to her players. She enjoys coaching every age group from the littles at camps or first time players to her 18’s team at Bay Area Volleyball Club. She has coached various age groups as well as played herself for the last 25 years. She played collegiately at Calvin College and continues to enjoy learning new things about the game and how to train effectively for individual and team success. 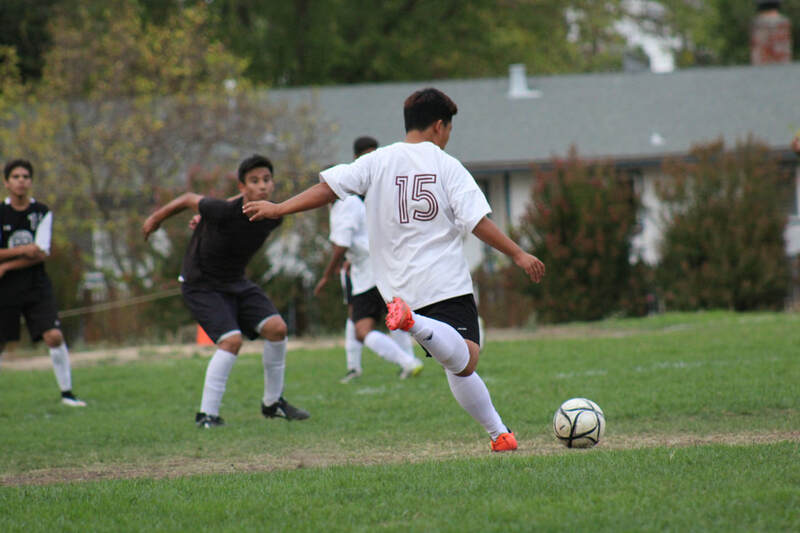 Under Coach Padmos' leadership the Cougars have enjoyed league playoff and NCS berths. 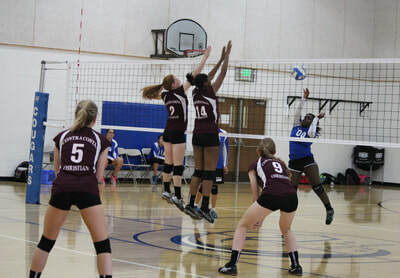 Contra Costa Christian High School plays volleyball as part of the Bay Counties League, a division of the Bay Area Conference. 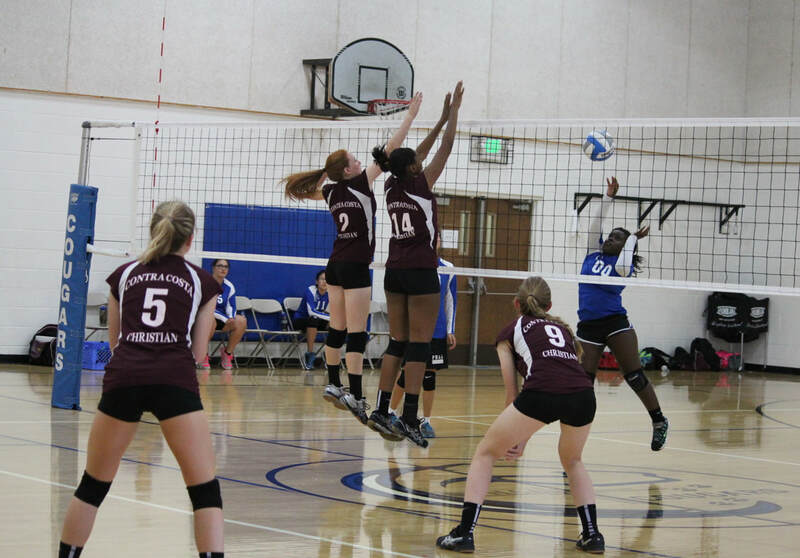 Girls Volleyball takes place during the fall sports season. Boys Volleyball takes place during the spring sports season. Home games for soccer are hosted on the CCCS campus. CCCS teams practice at several local gyms for volleyball and basketball, with most home games taking place at Tice Valley Gym. Swim meets occur at DVC Aquatic Center and soccer on Cougar Field. Directions to away games can be found on the individual sports pages. 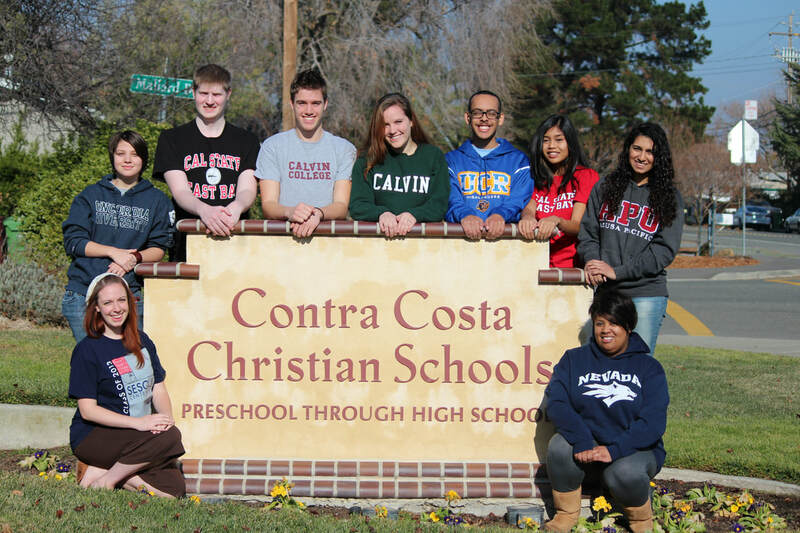 Contra Costa Christian High School is proud to offer students opportunities through leadership and service. Student Council is made up of committed students who are called by Christ to serve their school. 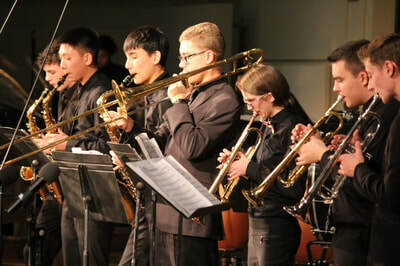 Contra Costa Christian High School offers a thriving performing arts program to develop students' musical and theatrical skills. The music program at CCCS develops students instrumental and vocal abilities. 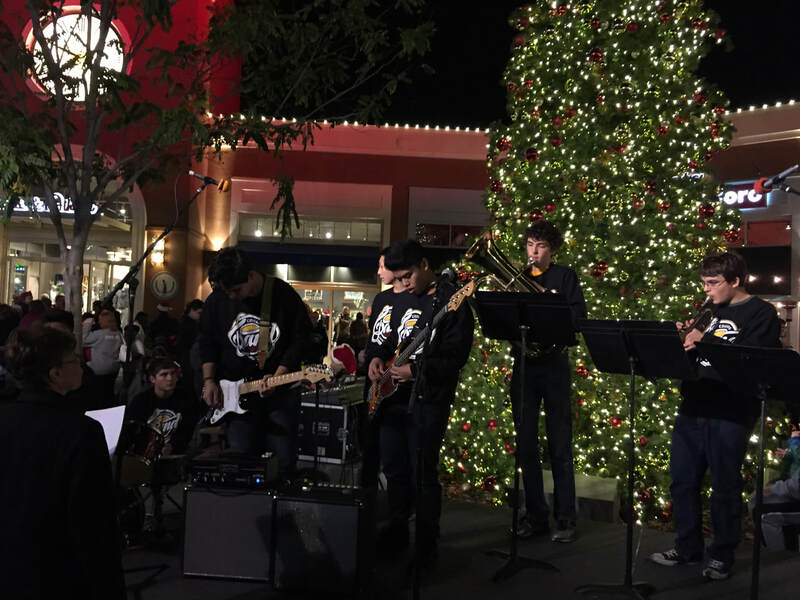 Students in band can develop expertise through individual achievements as well as learning the art of playing as part of a team. Students have opportunities to participate in small group ensembles as well. Some courses allow students to develop a richer understanding of music through composition of their own pieces, using Finale software. Choir students participate in vocal development and put their voices to use through concerts and other performance opportunities at local events and elderly care centers. CCCS wants all students to develop their God-given gifts and music is just one avenue CCCS uses to develop balanced, well-rounded students. CCCS is proud to offer students many opportunities to be involved with all aspects of theatrical production. Students have the opportunity to participate in auditions, casting, stagecraft, and acting components of a theatrical production. 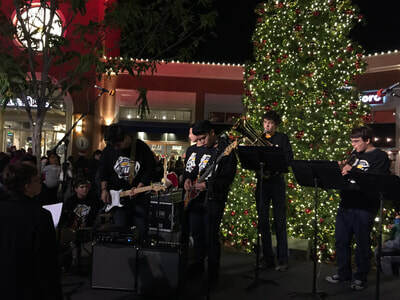 Performances are held at mainstream local theatres such as the Lesher Center in Walnut Creek and the Village Theatre in Danville. 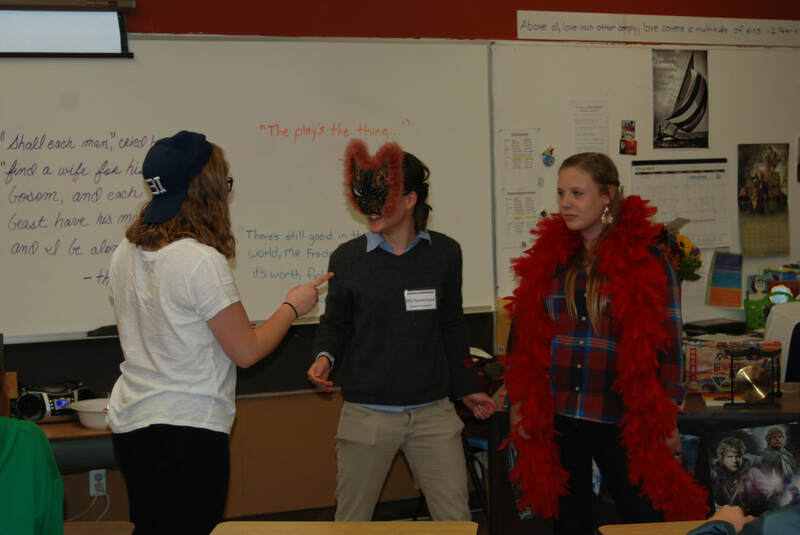 CCCS has offered classic plays, contemporary dramas, and musicals to provide students a taste of many different productions during their high school experience. We present two plays a year to an audience of students, parents, and the community. Although CCCS has seasoned actors, students are encouraged to participate even if they do have not previous experience. We see students developing their communication skills and stage presence in ways that extend beyond a particular performance to the larger arena of life. We challenge students to excel beyond what they believed they were capable of achieving. If a student is referred to Resource, but has no known prior difficulty, we will start by including them in our intervention program. The Resource Director will determine areas of strengths and weaknesses, what classroom accommodations might be needed, what skills need to be enhanced, and possibly refer the student for in-depth assessment through the school district or private practice. Contra Costa Christian High School offers a college preparatory curriculum to prepare students for colleges and universities. We also help families navigate the overwhelming process of college applications and selection. 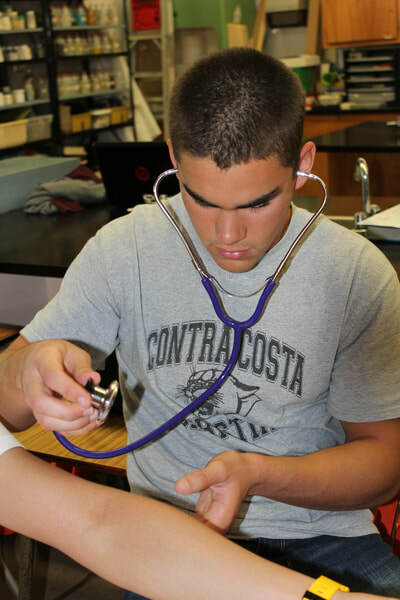 Contra Costa Christian High School provides a college preparatory foundation for students to pursue their life and career goals. The quality education provided to CCCS students has been validated through external measures such as their test scores and college acceptances. In the last few years, CCCS graduates' college acceptances represent over 30% of the top 50 universities in the US. Check out our complete list of recent college acceptances. As students prepare for further study at colleges and universities, students receive counseling support from the CCCS college counselor. CCCS prepares students from the 9th grade through the 12th grades to pursue and achieve their goals. We help students sort through the hundreds of potential college choices to find a good match for each individual student. We also provide support through parent education on different college options across the country, including financial aid and scholarship opportunities. The college counselor at Contra Costa Christian High School is ready and willing to be an aide and support to students and their families, as they develop a post-high school plan. If you want more information about our college counseling program, please contact Mrs. Janette Bissada via email or our school office at (925) 934-4964 ext. 257. ​Please see our complete list of colleges and universities where CCCHS students have been accepted. We are proud of our graduates and their hard work. Click here to see what some of our graduates have been up to. Students can register here to take the ACT or have their scores sent to colleges. You will find information on AmeriCorps here, including an online application. Browse the online student guide, including information and admissions applications for 77 independent colleges. Here you can find information on all the Cal Grant programs, as well as how to apply for a Cal Grant. Students and their families can find information on planning and preparing for college in California; for Middle School students on up. Click on these sites to learn more about career colleges in California, including academic and financial aid programs. These sites offer information on the 109 community colleges and how to cover costs. Check out all the CSU campuses from this site, as well as academic and financial aid programs. Here you can learn about the Cal Grant Entitlement and Competitive programs, other state aid, etc. Students can register for the SAT or have SAT scores sent to colleges from this site. There's also good information on planning and paying for college. Students can search this database of more than 2000 programs that provide funding for undergraduate study. Here the National Collegiate Athletic Association (NCAA) provides information for students who would like to participate in college sports and learn about athletic scholarships. Click here to learn about planning and paying for college and managing loans. Here students can complete and file the FAFSA and find links to the federal financial programs and PIN registration. This is the largest database of private sector sources of financial aid. This contains the U.S. Dept. of Education's Student Guide, with information on the major federal programs. Federal tax credits and deductions can help students with their college costs. This site brings together information on financial aid and how to apply for it, and has calculators to estimate expected family contributions. Learn about the California Chafee Grant for current and former foster youth. These scholarships, funded by the Bill and Melinda Gates Foundation, are for outstanding Pell Grant-eligible students who are of minority descent. Explore scholarships offered by the Hispanic Scholarship Fund. This destination offers steps toward college and career. This lists financial aid provided by the U.S. Armed Forces. The online publication, Creating Options: Financial Aid for Students with Disabilities. Information on all the UC campuses and their financial aid programs.